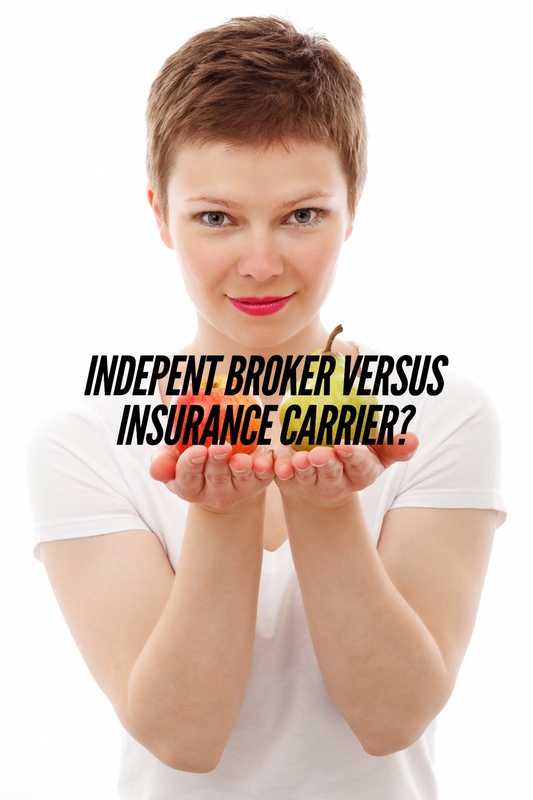 Why choose a health insurance broker instead of going straight to the insurance carrier? With the implementation of the Affordable Care Act and the many more choices available, consumers asking themselves whether they should choose to go directly to an insurance carrier, go to the state exchange Covered California site, or instead go to an insurance broker such as Solid Health Insurance Services, when choosing their health plan . 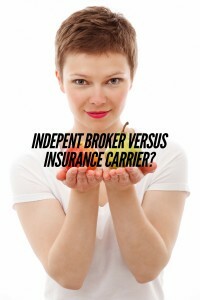 An Independent Health Insurance Broker is more than just a third party. First, we clarified for you that choosing Solid Health Insurance Services will not cost any additional fee for your health plan. Now, we want to tell you what are the advantages to using a broker. Buying an insurance plan on your own might not provide you the satisfaction that you have chosen the right plan specific to your needs. This is where an insurance broker like Solid Health Insurance Services can help. We will help you buy the most affordable and appropriate insurance plan for you and your family, in a timely and hassle-free manner. One of the best advantages of consulting us is that we are independent and represent the entire spectrum of health insurance carriers inside and outside the state exchange, plus we provide you with an actual overview of all the health plans available. Thereby, we immediately start to analyze your particular needs, such as what your budget is; evaluate your medical needs; and we assist you in finding your health care plan which covers the medical doctors and hospitals with whom you already have a relationship and are comfortable. Independent Licensed Brokers help you apply for subsidies- Solid Health Insurance Services, which is licensed to sell on the California Exchange Covered CA site, can even help you apply and enroll for health insurance subsidies. Depending on your income, these subsidies can lower what you need to pay on your monthly premiums. We can provide you access to all subsidy-eligible health care policies and plans in California. We explain you the different “metal level” and “cost sharing” plans, and determine with your income information the subsidy you qualify for. We will alert you if your children possible fall into Medical instead of Covered California health insurance plan, and we explain the threshold of income levels to you. Independent Brokers help you apply for health insurance plan outside the State Exchange Covered California. Many Californians do not qualify for subsidies, as their income is higher than the 400% poverty level, or they might choose not to want to deal with the requirements and reporting of Covered California. Solid Health Insurance Services your independent health insurance broker, will be able to guide you into the health plan which fits best your needs by comparing your needs with the many health plan options available to you from the various carriers. Outside the exchange are additional health plans which might better fits your family needs as the standard “metal” plans. For example in 2016 Oscar a new health insurance carrier, offers a Simple Platinum Plus plan with an out-of pocket maximum of only $ 1000 a year, a big contrast to the usual $ 6250 out-of-pocket maximum health plans on the market. Independent Brokers make your life simpler- Everyone desires to get a health plan that fits their personal medical needs and their budget. You might feel comfortable handling your insurance plans on your own, but there is no alternative to brokers like Solid Health Insurance Services who have expertise in the field of health insurance. A broker will inform you of possible hidden terms and conditions or surprises in your policy and coverage plan. Your insurance broker will help you understand each term and policies your plan covers. He or she also will make the process of buying a health plan and dealing with the application process with the health insurance carrier much more hassle-free. In case there are complications with the application or problems with the payment of health insurance plan, we will talk to the insurance carrier on your behalf. Independent Brokers provide best suited plans and coverage- Health insurance brokers also help you in choosing the best plans and coverage for you, your family and your small business. For example, professional brokers like Solid Health Insurance Services will review all the health insurance carriers including Anthem, Kaiser, Blue Shield, Covered California and then offer you a customized policy that fits your specific medical needs and budget. We will help you find health plans and coverage that covers the doctor and hospital you already know and are familiar with. The new health reform law “Affordable Care Act” popularly known as “Obamacare”, has completely changed the health insurance world. Now, the open enrollment period comes only once in each year, from November 1st 2016 to January 31 2017. This is the time period when anyone can sign up for a new individual or family health care plan. So, if you haven’t worked with an licensed Independent Insurance Broker you are likely oblivious to the various benefits they can bring you. In this complex world of insurance, things might seem simple and easy but they are not so simple. Health insurance brokers are experts in insurance policies and risk, and they will do their utmost to find an affordable health plans which best fits your, your family or small business needs. We at Solid Health Insurance Services are familiar with all the health insurance products and plans on the market and know how best to use them to provide you total security and peace of mind. Lastly, you want a health insurance plan that fits your medical needs and your budget. A plan that will be beneficial for you and your family in a long run. A licensed health insurance broker wants the same for you. Contact Solid Health Insurance Services to help you choose the best health insurance plan which is affordable and best fits your insurance needs and that of your family or small business.